No Joke: Planned Parenthood Hospitalizes Unconscious Patient on April Fool’s Day, 4/10/2017 Physician Assistant Carolyn E. Green, PA-C works at this clinic. Click here for more info. 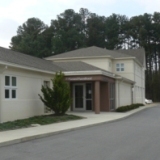 June 13, 2016, deficiency report cited this Planned Parenthood abortion facility for having expired drugs, emergency supplies, and surgical supplies. June 9, 2015: This facility was cited for releasing three abortion patients before the mandatory 1-hour recovery period was up. Law required observation of patient in recovery for a minimum of 1 hour after surgery.